This photo is just after I bought and rebuilt the engine. I drove it around through college. At the time, I purchased the car from a family friend who was storing the car in his garage. Purchased for $500 with a frozen engine block, bad head gasket, and seized brakes. After a few years, and the first split with my ex, I decided to 'man-up' and start taking the car apart. 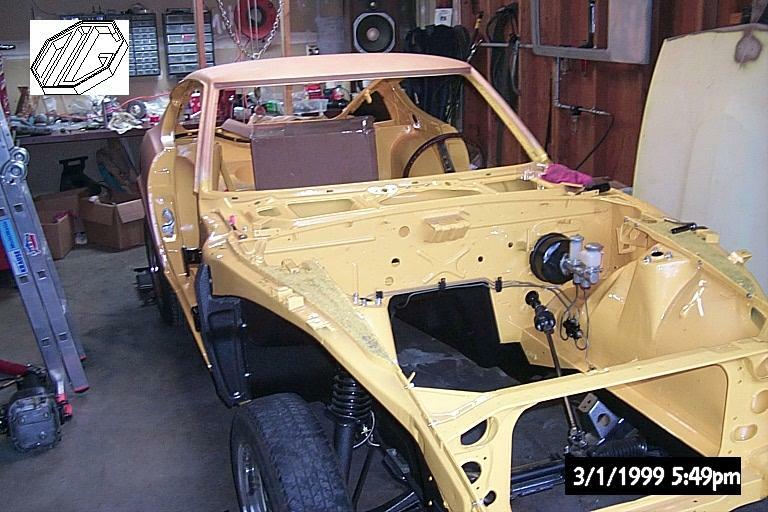 I spent the next several years sand blasting, with a gravity feed blaster, and disassembled the entire car. I then took her to a body shop of a guy in Corvallis, Oregon. he did the unibody work and painted the inside. The drive-train and brakes were installed so I could push it around in the garage. Soon thereafter, I re-united with my ex and we moved to a place in Albany, Oregon where I managed to get some more work done and the car painted. At one point, I ran into Steve Epperly from Ztherapy at a club outing. After hearing my story, he brought about 6 guys to my house and proceeded to take my car to his shop for restoration. This process took about a year. Until finally one day, he called me over and said, "Your car is running, do you want to see it?" We fumbled around with the car for another few months until Steve went to the Portland Roadster show and showed off the project for all to see. I then took delivery of my baby and drove her around to various different events and functions. I must say, without the support and encouragement of the Z community, this project never would have happened. Our cars may follow us through a lifetime, but, its always rewarding to sit back and appreciate the accomplishments. Sometimes I just go sit in my Z and stare at all the wonderful parts surrounding me. Thank you to everyone for all the support over the years, I wouldn't be here without you. Back at it this past weekend after some much needed vacation! I removed the rear bumper, fuel expansion tank, and the interior. I had some help from my better half. We spent about 4 hours Saturday and 5 hours on Sunday. I started with the rear bumper. The original bumper has hole in the middle of the top, from what I presume was a hitch. The back side of the bumper has a good bit of rust. These two issues probably add up to a new bumper. Ouch! Next was removal of the fuel expansion tank and the fuel filler neck. The neck came out easy enough, but the filler neck was was not so easy. The flange at the top of the neck needed to be folded in so it would pass down through the hole in the body. The neck was badly damaged, no doubt contributing to the fuel smell when driving. 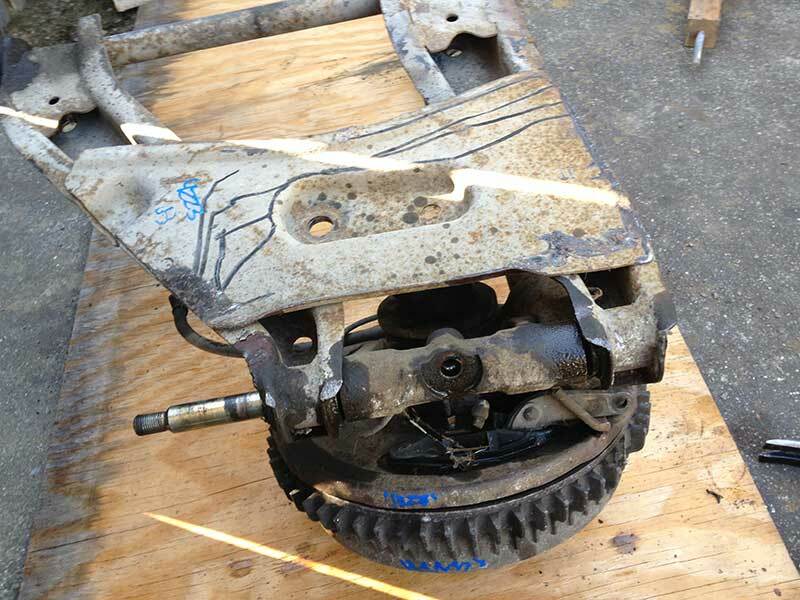 Then we removed the interior, which was straight forward and has begun to reveal the extent of floorpan rust. The passenger side is worse, with complete rust-through just behind the rear most seat support, about one inch by four. I have about 75% of the floor insulation off and it appears it was good at holding moisture. As the plastic interior panels were removed, most broke since they have become so fragile with age. Next week I will remove the front and rear suspension and get unibody mounted to a rotisserie so I can get a good look at the underside and rails. Thanks for reading. Well hello and welcome back. As foretold in the previous updates I plan on starting up the second year of the Datsun rebuild. Looking at where I left off Iâ€™m starting to think I bit off more than I can chew with the build expecting to take three years with just the winters being the active time on the project. 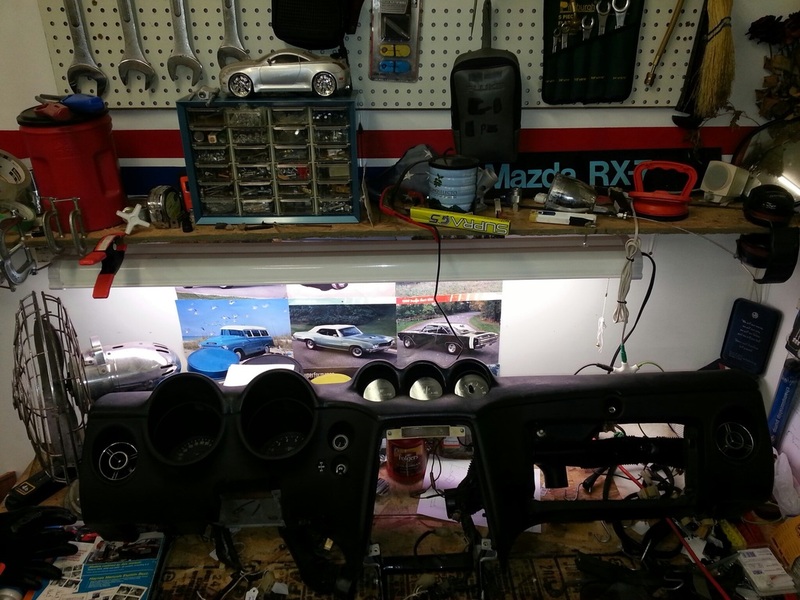 I know I said I would poke here and there on the Datsun in the summer, fortunately and unfortunately I did not do anything with the Z except for take parts from on location and place them in another location no cleaning of parts nor wrenches on the vehicle were accomplished during the spring summer months of 2015. Where I left off with the Datsun was the dash removal. That went relatively well all one piece and no did not take instruments out like I thought I would this summer. With the dash out the next step of my plan is to continue removing all interior pieces . Whatâ€™s remaining? The duct work , heater box/AC, interior vinyl coverings, pedals, steering column, gas tank odds and ends, wiring/conduit, and glass. Sounds like a lot looks like a lot less than that. After that then the next phase is body work. What this should initial, should be the purchasing of all replacement panels and materials for the cars welding and patching needs. The end goal for this stage is to have the car cleaned up inside and out , rust removed and stopped, patchwork welded and muddled, primer sprayed and ready for paint come spring 2016. Wow right, I am bugging out a little because I donâ€™t want to include the drive-train and suspension in this phase but I have to remove it to be able to clean and clear the under-body of the Z. Comments would be helpful with this but either I am too cheap to get a paid blog or you folks who have subscribed donâ€™t care to give advice, In either case comments and advise are welcomed good or bad. 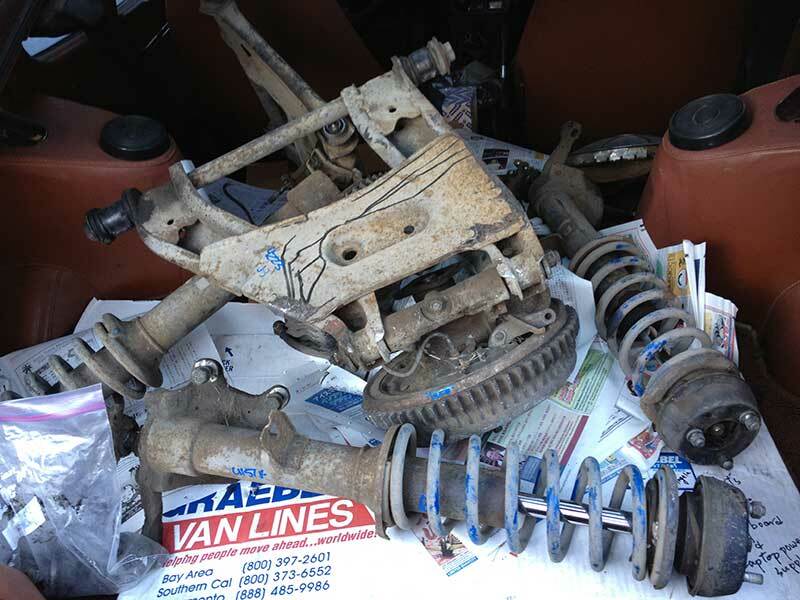 My thought is to go ahead with the suspension and drive-train removal but, when it comes to replacing parts keep that at minimum. The only reason this is any concern is due to the need to have a way to get the body to the paint shop, I donâ€™t have a frame dolly with wheels to bring it on a flat bed. Although I could make one, but then I would be forcing work during the summer which may not agree with my family? I could maybe bust arse a little and try and get both drive-train and suspension done after getting the car ready for paint then putting the car for paint as soon as I am done, maybe get what is necessary completed on the drive-train with the knowledge that I will have to take off some of the parts again to add exchange or repair. 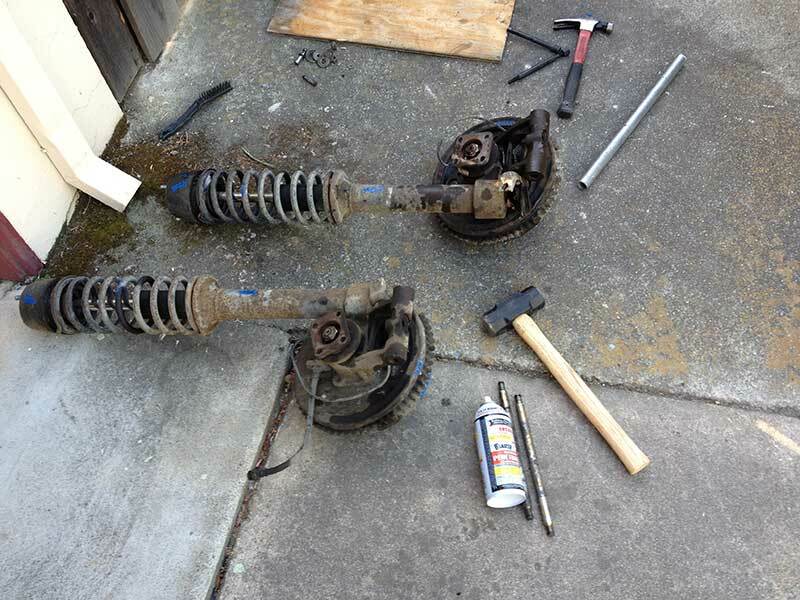 For example I donâ€™t need to mess with the brakes, but I plan on doing the Toyota forerunner conversion to the rear wheels to upgrade to disc brakes so everything on the spindle would have to go, also I am going to swap for a 200LSD vs. the current 180LSD but that doesnâ€™t have to come off too roll the car into a paint booth. In any case this will give me something to rant about next update on the blog. 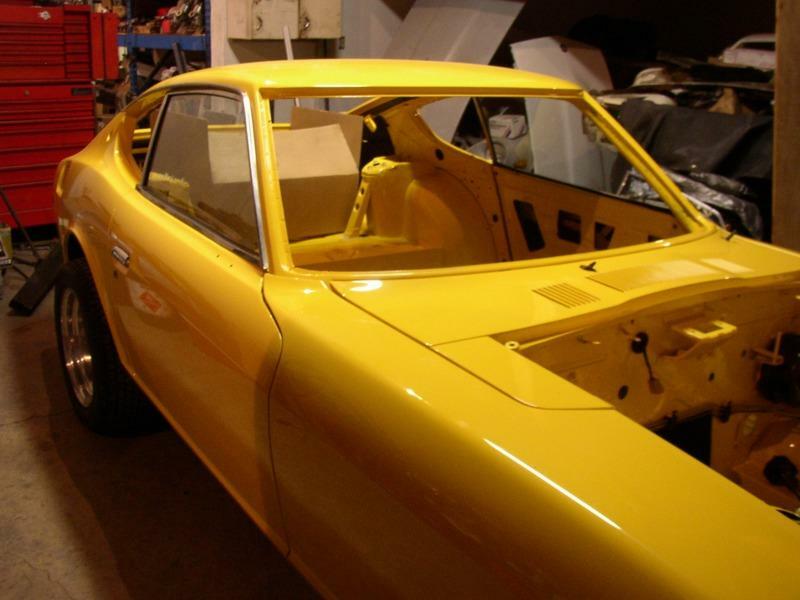 The body in paint will free up room for prep for the last phase, the rebuild with new engine. If the body is in paint then I will have a open stall for a donor car with the engine or a engine and transmission separate. Then when the painted car is complete I can store it outside covered over a make shift outdoor covering or at another location for a short time to get the donor car emptied or move it back if I just have the engine and transmission to deal with I will be working on building a Car rotisserie for the Z in hopes to have it on the stand in November. I will need to modify the two stands with a piece of square stock steel and weld into place. I intend on continue to strip the interior and catalog the parts and remove the suspensions both front and rear in preparation for the rotisserie. A lot has to be done so wish me luck. After countless hours of looking at multiples setups and years of dreaming , watching and reading manga cartoons about racing and JDM cars, I have decided on a plan or direction for the Z. I am looking to slowly build the car in stages with the ultimate stage having very similar things as the devil Z with a 3.1 liter displacement and twin turbo, should be able to claim at least 600hp in a car that ways less than 2300lbs is pretty sick. That's the idea for the performance aspect. Since I don't foresee a Ferrari in my future, I plan on capitalizing on the Italian design cues the 240Z has already captured. I ma not going to go overboard with it, I feel that would make the car tacky. I do however am going to attempt to do this tastefully and efficiently as possible. My next update will be in a months time with pictures of the remaining deconstruction and current status, till then thanks for reading. Nissan has issued a recall of the 2014 model Rogue manufactured between June 11, 2013 and June 7, 2014 due to a problem with the fuel pump. In all, the recall affects 76,242 vehicles. According to the National Highway Traffic Safety Administration, the nickel plating on the fuel pump can come loose and bind the impeller which can, over time, cause the car to stall while driving, or not start up at all. Owners of a Nissan Rogue manufactured between the dates listed above can bring in their vehicle to get the defective fuel pump replaced with a new one at no charge. WE ARE IN NEED OF A BUMPER FOR A 1979 DATSUN 810 2 DOOR COUPE (NO WAGON). WE HAD A MISHAP WHILE AT THE CARWASH AND THE BUMPER WING (WHAT WE WERE TOLD IT IS CALLED) WAS DAMAGED. I'M NOT SURE IF THE REAR WINGS ARE SOLD SEPARATELY, OR IF THE ENTIRE BUMPER IS NEEDED. ANY SUGGESTIONS WOULD BE APPRECIATED. WE JUST WANT TO HAVE THE VEHICLE AT IT'S ORIGINAL STATE. Theyâ€™re the cars that have captured our imaginations for decades. Weâ€™re talking about famous movie cars. Theyâ€™re famous for different reasons. Some had starring roles, some had a personality of their own, most were crucial to the plot, but all of them looked awesome which is why they are to this day the most iconic cars in show business. 1. Ferrari 250 GT California Spyder (Ferris Buellerâ€™s Day Off). According to the movie, less than a hundred of these were ever made. It was with great sadness that audiences watched the iconic car meet a tragic demise. 2. The Batmobile (Batman). There is some debate as to which version of the batmobile is the coolest. But no matter which version of the film you see, thereâ€™s no denying that the batmobile in it would be pretty fun to drive. 3. Ford Gran Torino (Starsky and Hutch). There are rules for driving this car. First and foremost, you never, ever place your coffee mug on top of or inside of this car. 4. Pontiac Trans Am (Smokey and the Bandit). This car manages to look fast and mean when itâ€™s not even turned on. 5. Cadillac Miller-Meteor Ecto-1 (Ghostbusters). Just about every part of this car was busted (pun intended). But that didnâ€™t stop it from becoming one of the most famous cars to ever grace the silver screen. 6. Aston Martin DB5 (James Bond). Wearing a tux is a prerequisite for owning this car. That, and having a British accent. 7. Ford Mustang GT 390 (Bullitt). Steve McQueen drove it, so you know itâ€™s gotta be good. 8. 1969 Dodge Charger (Dukes of Hazzard). Itâ€™s not the most practical car in the world (the doors are welded shut). But if you donâ€™t might hopping through the window to get in and out, itâ€™s a pretty sweet car. 9. VW Beetle (The Love Bug). The most lovable car on this list. While it doesnâ€™t look like it would be particularly fast, it does come in first place. 10. DeLorean DMC-12 (Back to the Future). The deceptively named, DMC-12, is not the 12th DeLorean to be made. It was the first and only car made by DeLorean Motor Company. No list of movie cars would be complete without this DeLorean turned time machine. Whatever you do, donâ€™t get it up to 88 mph. So I have look and looked this is an odd one.. So like a dumb #$& I used a screw driver with a piece of sandpaper trying to scrape the rust out of the cig lighter and the fuse blew but the radio also cut out but the radios fuse did not blow. Heres where it get wierd. Its running extremely ruff.. Smell rich out the exhaust , backfiring , lack of power.. Any Ideas why the engine would crap out from shorting the cig lighter? this is my first post on classiczcars.com and i'm super excited to let you all know that 3 days ago i found and rescued original Scarab #157! I put a link below to a short youtube video of the car when we got it back to the shop. If the the link does not work just do a youtube search of scarab #157 and it should pop right up.Within the next 24 hours I'm going to post a ton of pics of the car and lots and lots of documentation. This is a 2 owner car from California that was moved to the Midwest in1990. The car has not been driven for almost 5 years. We are planning a full 100% restoration on the car. If there is enough interest, once we strip the car down, i can find out what the process would be to make molds of the body kit and whale tail. The originals are fiberglass. I think carbon fiber would be the way to go if we redid the body kit. 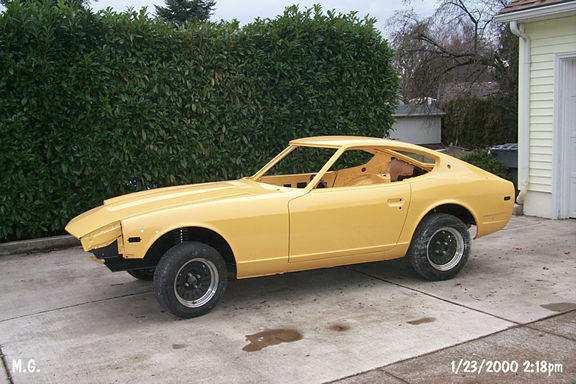 I am new on the site and see that there are some very nice Z cars out here. 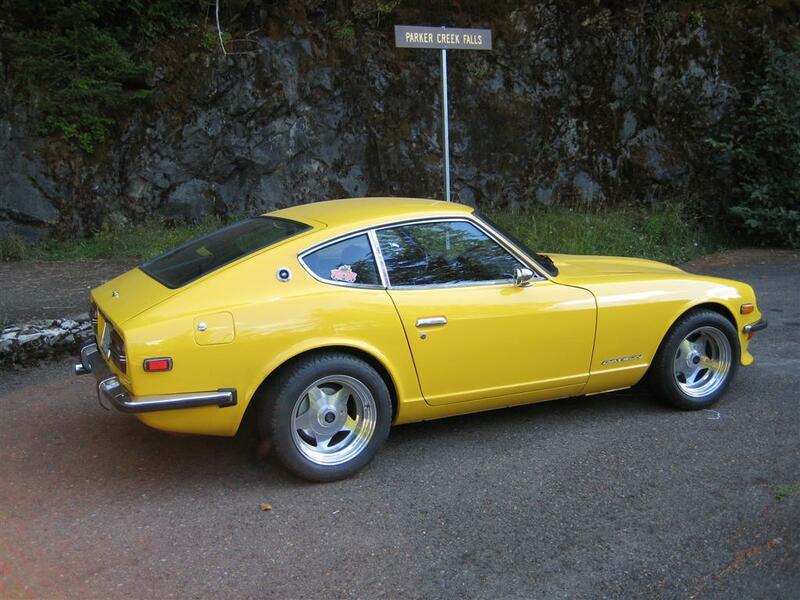 I have a 1975 Datsun 280z that is in near showroom quality, no rust, no dents, all original parts. 11,700 miles on the rebuilt engine. It has sat in a garage a few years but I have now released the beast and taken her to Custom Shop to get back to showroom quality. Looking forward to posting the progress. engine will not start if you pull tach plug. Looking for a 1978 280z harmonic balancer crankshaft pulley or how to fix one. Charcoal paint code for hub caps and trim on Z cars? I am trying to find out the correct paint codes/chips for hubcaps and trim for all early Z cars. I believe the manufacturer may be Dupont, and it seems to be some sort of flat or satin charcoal. Any suggestions or ideas would be much appreciated. Also, if anyone knows a way to find out the original stock rim/wheel size for a 1975 280Z, please let me know! My intention is to put original stock rims with hubcaps back on my car, so I would also like to know the size of the widest tire I can put on the original rims. Hi all' date=' thought I would share my 240k story and pictures with you. I was already an owner of a 180b when some months back I was casually looking for anything for sale under Datsun and came across the below car for sale. I had no real intention of purchasing the car but just wanted to take it for a drive more than anything, so spoke to the seller and arranged a time to see the car. I made the good move of taking my wife along with me when I did the visit. 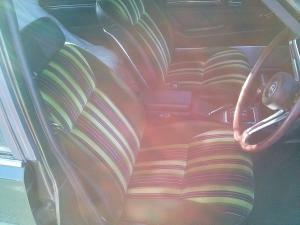 when I got next to the car I knew that I had to have it, it was a one owner car and immaculate in everyway. The story was that the first and only owner bought the car as a retirement present for himself and was only ever his weekend car and was always garaged and even had a car cover on it in the garage. He would never drive it if it looked liked rain and it had full service history for every service it had ever had. He sadly passed away into his 90's and so was being sold by his daughter in law. I got my wife In the car and away we went for a drive in her. When we got back to the sellers house my wife turned to me and said, we should get this car, which I didn't need her to tell me twice. They agreed to not sell it to anyone so we could have a think about it. The next day we did another test drive and the deal was done. The sellers are such a nice family they kept the car in their carport for me until i could sell my 180b to make room for the K.
We even keep in touch with them still as they like to know how the K is going, which is nice as this shows how much they valued this car being in the family as it was for over 30 years. Since getting her all I have done is a wash and T cut and a wax, and added the rear venetians, everything else is as it was when I purchased her. I still have the original car cover he used to use to cover it up in the garage as well. The car seats are such a 70's thing that when I go to car shows In her everyone comments on the seats ! Can anyone help? I want to upgrade to 15/16/17 inch rims and tires, but do not want to do fenders or any other mods to my Z. I'm doing so to upgrade brakes all the way around. Not sure what will fit as well as what will be best for my ride? Any suggestions? 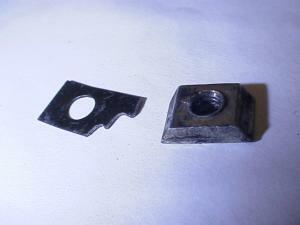 I`m wathing out for a pair of : unlocking slides for the T-Roof-Tops of my 1986 Z31 Nissan 300ZX 2by2. Who nows where I could find those,ore has some for sale . San Diego 5th ave Auto Showcase Oct 13 2013 Japanese class? Is anyone planning to go to the 5th ave auto showcase in San Diego Oct 13? I spoke with an organizer Brandy and asked her if there is a Japanese class, or way to group some vintage Japanese cars. She told me that there are discounts available for any club or group if 18 cars minimum can be organized. They would reserve a part of the block just for up to 25 cars. 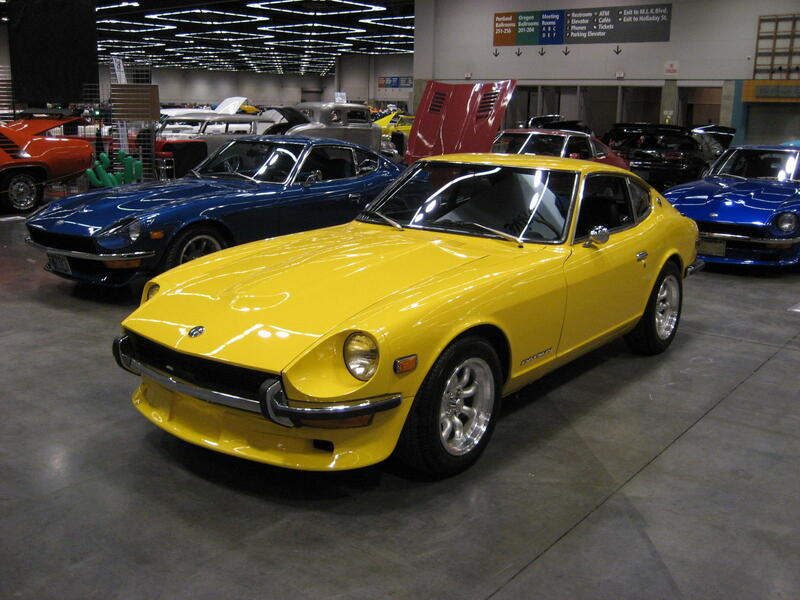 Admittedly, I do not have Datsun Z etc. I have a 1967 Toyota Sports 800 here in the San Diego area. I would like to see a group like yours participating. Of course, I also would be interested parking with you, since there is no way toyotas would be able to muster many, or any Toyotas. I do have a friend that would display his Toyota 200GT with me to, which would be great to see along side of your cars. Here is the website info. If someone would organize 18 or more Japanese cars, it would be be a good thing. If not, I will sign up in the "special interest" class and hang out with kit cars and various other cars with no classification. 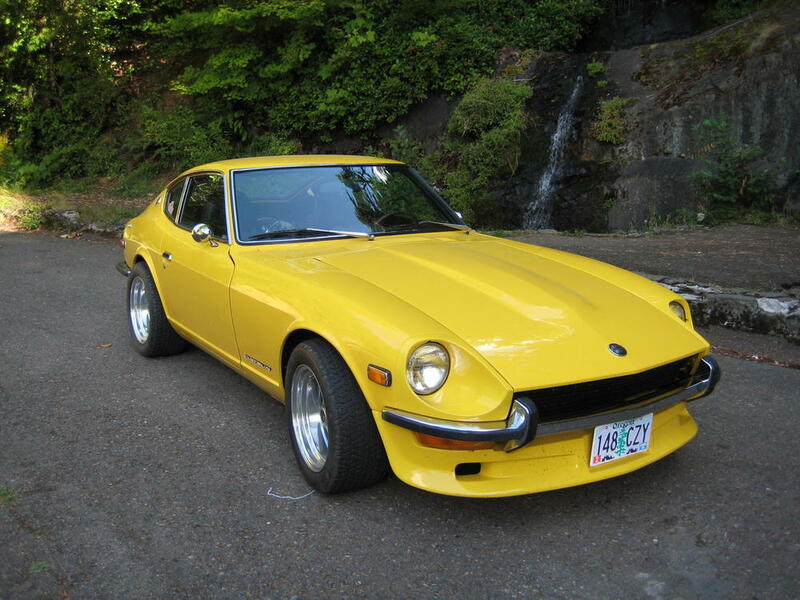 I have a 1971 240z that I have been restoring eight years the end of next month 8/13. I had a machine shop rebuild my engine which took the guy two plus years to do. I finally got it in the car and went with thriple Dcoe 40 triple carbs and the engine runs fine. I noticed a month or so after the engine was in the car that there was a small amount of coolant on the block where there are tabs on the block that stick out past the head. I pressurized the cooling system and dropped pressure so I pulled the head off took it to a different machine shop and had them pressure test and put a straight edge on the head and they told me it was good and I told them what happened and who did the motor. They told me the real hard jobs the sub out to the guy that did my engine. The guy that did my engine grew up in a machine shop that his dad owned and the guy is now around 50 and doing engines his entire adult life so he suposably knows what he is doing. I told him what was going on and he said I waited to long to start it and when I did I did not run it long enough. I don't remember his exact words but it's like the head gasket was a rear main seal or something. I alway thought the thing either leaks or does not and told the guy the thing was not a rear main seal or something that drys up. I then pulled the three webers, intake and what not then the head. The guy used a felpro gasket and it looked ok but I bought a new one and installed it, torqued the head to specs and started it again and it appeared fine but a week later I noticed a small amount of coolant along the edge of the block where it sticks out futher than the head. I checked the toque on the head bolts and they are to specs. I am getting pretty frustrated at this point I have spent almost 40k on the car so far and have had everything replaced with new and just when I think I can drive it the leak shows up. If the head was pressure tested and checked to insure it was straight and it still leaks it's got me stumped and a little mad. If anyone can give me some clue other than I waited to long to start the engine which is crap I would really appreciate it. 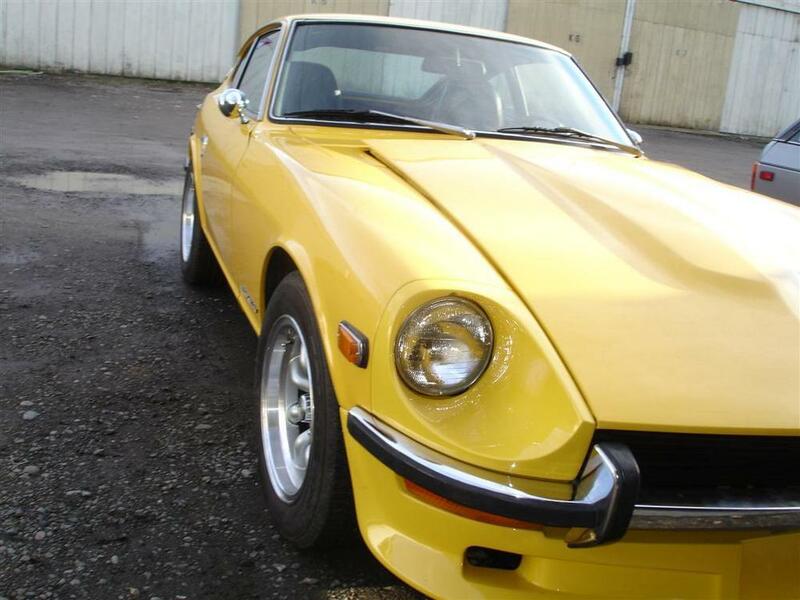 Hello I have a 1977 280z and the RPM needle gets stuck from time to time. when I park the car and leave it off over night it will reset back to zero. This is my first post so I don't know if I am explaining myself correctly. 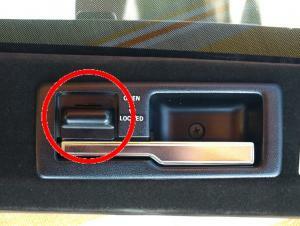 I am looking for some guidance of what steps I should take first to check it without having to dismantle the dash. I know there has to be someone else that may have or had this problem. Thank you and I hope I am posting this correctly. Open to some feed back. Hey Y'all! This is my first post. Please forgive me if this has been asked and asked. I have been searching for the wiring diagram for the OEM radio in my '83 zx. I can find the one for the non-GL, but no luck finding the one for my car. I am replacing the 30 year old worn out unit with a new aftermarket system. I plan to cut the old harness and reconnect. Any help would be much appreciated! What do you do after 10 years hybernation? I want to coilover my car, but scare to chop off original struts. So, I've looking for spare parts. Luckily, local Pick N' Pull has new inventory of same year of my Z. 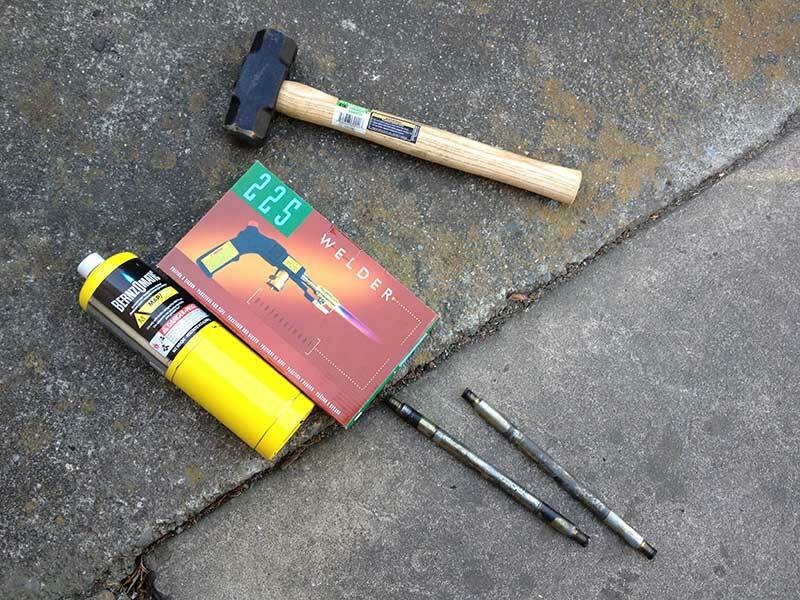 Friend suggest to get yellow tank of propane to heat up and hammering one the spindle to move back and force to loosen up before using spindle removable tool. I guess I spent all of my luck for this year for this. The inspection light is is NLA or very hard to find at the least, so I decided to try and make the lens. I had a light in good condition, but the lens was brittle and badly faded. Since I had all the equipment for making a set of tail light lenses for my 280Z it was not too much work to try make the inspection light lens. 1. Vacuum chamber and vacuum pump. This is needed to remove air from the silicone resin used for the mould and the clear resin used to make the lens. You can do it without using vacuum to de-gas, but the results are not as good. 2. Pressure chamber and compressor. The pressure chamber is used to pressurize the silicone mould when its curing and to pressurize the resin when you mould the lens. If you don't do this you run the risk of getting a champagne bubble effect. This effect is caused by small air bubbles captured in the resin during stirring. 3. Scale that can measure 1 gram for measuring resin, dye and hardener ratios. Very important for reproduction later. Note: If you are using dye, I suggest mixing the dye in the resin before adding dye. Mix enough for your total production and keep it stored. Mix the quantity needed with the hardener. This way you maintain the colour through out the production run. 4. Injection needle or device to evenly inject the resin without trapping bubbles in the mould. This is probably the hardest part of making the lens. I prefer to inject the resin instead of pouring it into the mould. I have found it easier to prevent bubbles this way. I fit a plastic tube to the seringe (plastic tube used for fish tank pumps) and make sure you use enough tube to hold the resin. 5. Releasing agent. Spray pack. This helps prevent the resin sticking to everything you can think of. Makes cleaning easy. Pressurize the mould. Once the mould is poured it needs to be pressurized to remove any small bubbles. I use 2Barg for 8 hours and warm the chamber to 60Â°C. This helps cure the lens and helps give it a shiny finish. Remove the mould, dismantle it and trim the excess of the lens. Thanks John, I also posted a copy of this in our forum under your name. It will get a lot more traffic in the forums, so be prepared for the responses. I had a lady friend that lived in San fran when they were filming bullit. The movie production team had her car towed because it was on the route where they were shooting the film. Knowing her, she ran over the big orange cones to park in her space. She was pissed just thinking about it and that was 35 years later. She said it was very "noisy"